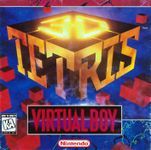 ""3D Tetris is a video game released for the Virtual Boy in 1996. A Japanese version was planned, to be called Polygo Block, but production of games was ceased due to lack of interest in the Virtual Boy system. This was the last game released on the Virtual Boy. This version of the game of Tetris uses a three-dimensional playing field as opposed to the traditional two dimensions more generally used. The player not only rotates the playing piece horizontally, but vertically as well which means that the piece has four possible directions in which to move."" Source: Wikipedia, "3D_Tetris," available under the CC-BY-SA License.